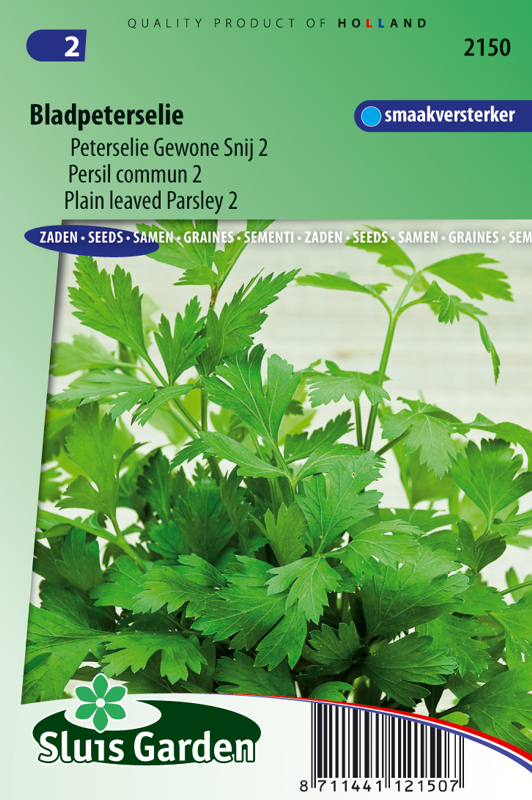 A fine aromatic type, also called 'plain leaved parsley'. 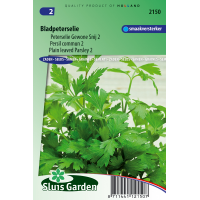 Has deep green, smooth leaves and due to its higher water and essential oils content it has a more refined flavour than curled parsley. Blossoms again and again. Sow in a greenhouse or in the garden in rows. Often germinates slowly. After sowing keep the soil moist and free of weeds. Excellent in pots, boxes, etc.